Boston, MA—As the Trump Administration attempts to weaken federal greenhouse gas (GHG) and corporate average fuel economy standards for the nation’s light duty vehicle fleet, nine Northeast and West Coast states today reaffirmed their strong commitment to a clean, low-carbon transportation sector with the release of a new Multi-State Zero Emission Vehicle (ZEV) Action Plan for 2018-2021 to support the successful implementation of the states’ ZEV programs. “These nine states, one-third of the nation’s car market, will bring millions of clean cars to America’s roads and highways,” said California Governor Edmund G. Brown Jr. The Action Plan, which builds on the successes and lessons learned from implementation of an earlier 2014 ZEV Action Plan, presents 80 market-enabling action recommendations for states, automakers, dealers, utilities, charging and fueling companies and other key partners to rapidly accelerate mainstream consumer adoption of zero emission vehicles, including plug-in hybrid, battery electric and hydrogen fuel cell vehicles. Release of the new Action Plan follows the 2017 expiration of the “travel” provision in the participating states’ ZEV regulations, which allowed automakers to get compliance credit in Oregon and Northeast ZEV states for ZEVs placed in California, and to use that credit to meet their ZEV obligations. Automakers are now required to deliver ZEVs to meet specific sales goals in Oregon and the Northeast ZEV states for the first time. The new Action Plan also comes on the heels of announcements by two northeast utilities of planned major investments in northeast corridor charging infrastructure totaling more than $500 million. In California, Gov. Edmund G. Brown Jr. signed an executive order in January setting a new target of five million ZEVs on the road by 2030 as part of the state’s efforts to meet its climate goals and clean air standards. Applying California’s ZEV target proportionally to the eight other Task Force states based on vehicle sales would equate to around 12 million cumulative ZEVs by 2030 in the nine states. Three major California utilities also were recently approved to invest more than $735 million in charging infrastructure in the state over the next five years. The updated ZEV Action Plan is the work of the Multi-State ZEV Task Force, which was formed in 2013 under a Memorandum of Understanding (MOU) signed by the Governors of California and seven other states that have adopted California’s ZEV program – Connecticut, Maryland, Massachusetts, New York, Oregon, Rhode Island and Vermont. New Jersey became the ninth ZEV state to join the coalition when Governor Murphy signed the MOU in May. Together, the nine ZEV MOU states represent nearly 30 percent of the new car sales market in the United States. The transportation sector is now the largest single source of GHG emissions across the nation and in the Task Force states. Light duty vehicles alone contribute almost 25 percent of total emissions. Transportation electrification is essential to deliver the deep reductions in emissions that are needed to meet state climate goals. The state ZEV programs, which require automakers to deliver increasing numbers of zero emission vehicles between now and 2025, are a key strategy in state climate plans. To support successful implementation of the ZEV programs, the MOU states committed to the collaborative development and implementation of the first 2014 Multi-State ZEV Action Plan. Partnered with automakers on a “Collaboration for ZEV Success” to accelerate ZEV adoption. The ZEV market is entering a new phase of development. In the four years since the release of the first ZEV Action Plan, the cumulative number of ZEV sales in the United States has grown from 200,000 cars to more than 750,000 cars today. Market changes and technology developments have laid a strong foundation for rapid growth of the emerging electric vehicle market. Battery costs are continuing to decline and the electric range of lower-cost battery electric vehicles is three times what it was in 2014. 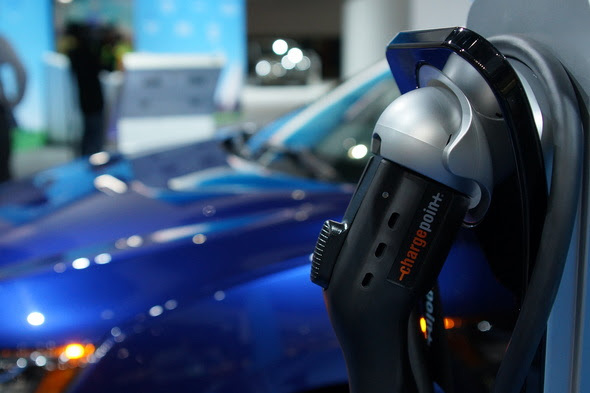 Consumers can now choose from more than 40 different plug-in and fuel cell models, and all the major automakers have announced plans to significantly expand electric vehicle offerings across multiple market segments in the next several years. Increasing automaker and dealer investment in brand-specific advertising and marketing activities. Ensuring that consumers have open access to charging stations without restriction based on charging network membership or subscription. Incorporation of incentive programs to promote ZEV adoption and commuting into private sector employee benefit programs. Increasing outreach to fleet managers to raise awareness of the benefits of adding ZEVs to fleets. Establishing recognition programs to showcase leading ZEV dealerships.